District 3 – February 2013 – Lincoln Nebraska A.A. The January 1, 2012 District 3 Meeting Minutes were approved as Read. Correspondence with the Workshop Committee Chair from Area 41 shows that the 4 Corners Workshop that we have been discussing is scheduled for the 3rd Quarter of 2013. We originally had agreed to the 4th quarter but there was some confusion and another district has already taken the 4th quarter. 4 Corners Workshop that District 3 will be having will be in the 3rd quarter of 2013 which is July, August and September. Groups are asked for input on Ideas, potential dates to have the workshop and suggestions for a location. Begin selection process of selecting host site for 2015 West Central Regional Alcoholics Anonymous Service Conference within Area 41. 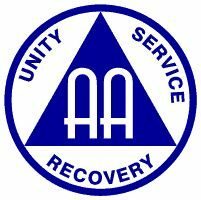 Area 41 recommend that AAWS set the price of the book Alcoholics Anonymous to AAWS’s cost for a period of time to be determined by AAWS. Background. This poses the question to the Fellowship: Does the Fellowship wish to support GSO by the 7th Tradition or by combination of sales and 7th Tradition. Charles A. Should Area 41 establish guidelines for work that is being done in Committees that may need approval by the Area 41 body, and if so, how? Background: Often Areas develop their own literature or service tools for use in their Area. Some recent examples within our own Area would be our GSR Orientation Packet, Corrections Power Point, and the CPC Working With Professionals pamphlet/envelopes. At times these projects involve the website and a certain amount of financial investment. Even though a Committee may try their best to come up with items that meet all of A.A. criteria, it seems that when others from outside of the Committee look at it, they see adjustments that need to be made. Some of these are self‑adjusting such as limitations put on to the amount of moneys that can be spent and a webmaster who edits what goes onto the website. Printed literature and other such tangibles, however, have no other built‑in check. Although good sponsorship is probably the best way to handle this, our sponsors are not always available while a vote is being taken in a Committee. There are things that we can and should do at the Area level which do not need to be conference approved that can help the still suffering alcoholic right in our own Area. I have seen some items produced by other Areas that are not conference approved and would like some way to check items that are developed within a Committee before they are used within the Area. One way might be to send these items to i.e. Report and Charter, Finance, Website or Literature to further check the facts etc. Perhaps this would be a way to find a balance between Concept 3/Right of Decision an accountability to the Area. Bernice S.
The group business meeting is the last Wednesday of every month. The meetings are going good. They are working on getting up to their prudent reserve at this point. The Group has been pretty busy with filling their service positions, which are now filled. The group is coming back together pretty strong. They have just worked through making their contributions. The group is working on the second (2nd) annual Old Timers festivities which will be happening August 10th of 2013. They are looking for members who have at least 20 years of sobriety, so if you have someone you would like to nominate, let the group know, and the names will go into a basket and they will draw names to determine the speakers for the event. The meeting continues to go good; it is a weekly speaker meeting with amazing speakers with good sobriety every time. The group averages 50 people every week and always welcomes newcomers and visitors. The meeting averages 6-7 people every week. This is a good meeting to attend and we have finally elected officers into the new service positions. Closed at 7:56 p.m. with the serenity prayer. Next Meeting will be held March 5, 2013 at 28th and “S” streets 2nd floor at 7:00 pm. ‹ Flyer: What is Intergroup?